The response to the upcoming release of Left 4 Dead 2 has been less than cordial. In fact, part of the gaming community decided to boycott the release of the game altogether, feeling betrayed by Valve who appeared to renege on their promise for additional content. Well, Valve has finally spoken up, promising not to ignore the first Left 4 Dead game in favor of the sequel. Kotaku got the word first, but we are more than happy to hear and share it with everyone. Gabe Newell set the record straight about the continuing support of the first Left 4 Dead. "Doing a sequel in one year is new for Valve. But providing ongoing support for our titles after the initial launch isn't - it has been part of our philosophy since Half-Life was released ten and half years ago, We see no reason to change that and will continue to support the over three million customers in the L4D community." Gabe Newell goes on to reassure the community that they weren't all forsaken in their initial interest in Left4Dead. 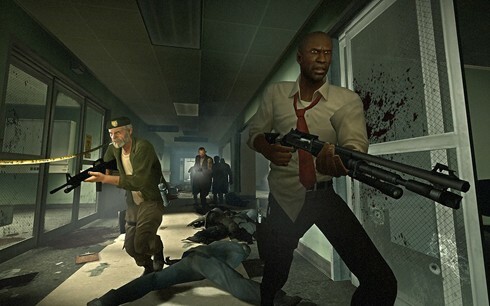 Valve is still about community, and we're relieved to see the ongoing care in Left 4 Dead. "In addition to the recently released Survival Pack, we are releasing authoring tools for Mod makers, community matchmaking, 4x4 matchmaking, and more new content during the coming months for L4D1. We also agree with our customers that there needs to be an interoperability plan for players of L4D1 and L4D2, as multiplayer games are driven by the cohesiveness of their community."